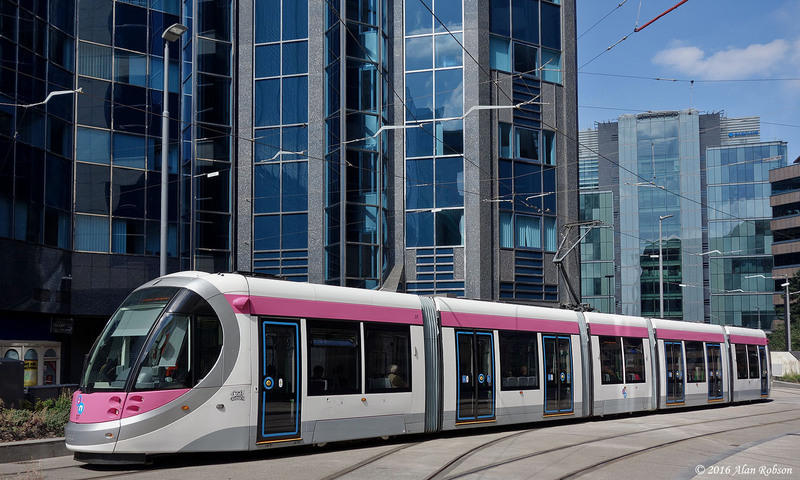 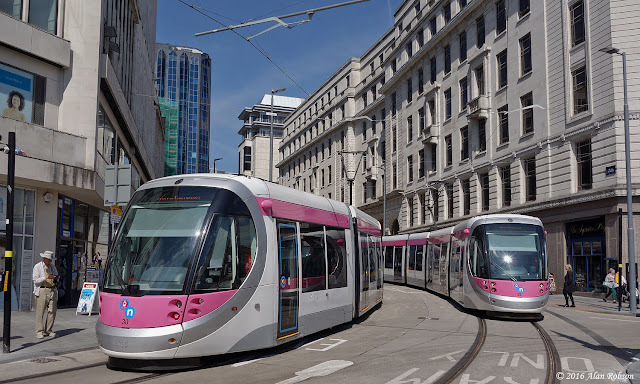 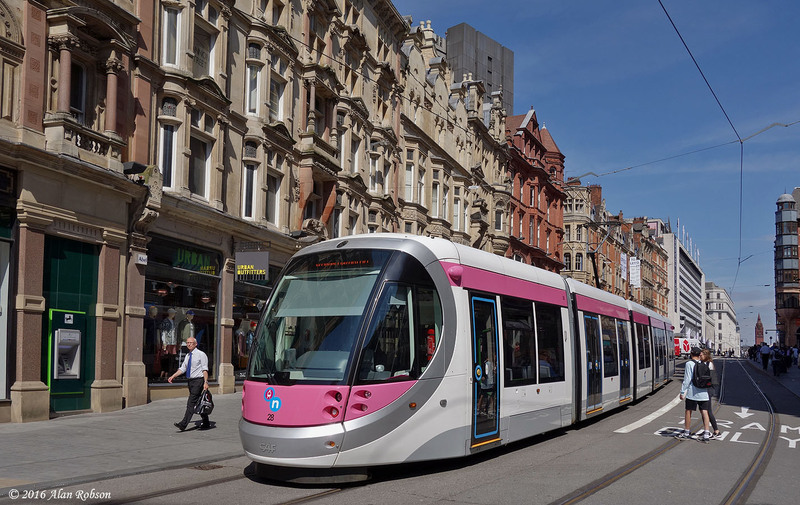 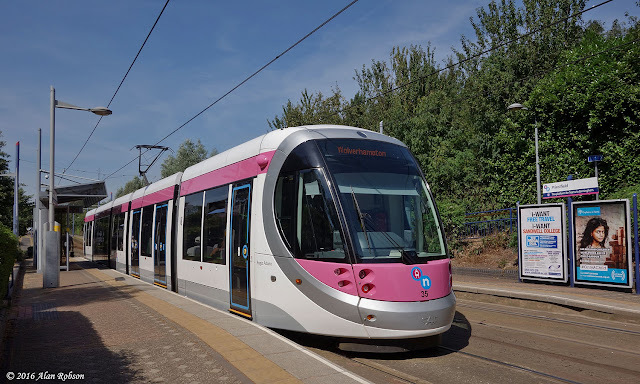 Midland Metro is a 13 mile long light rail line running between St George's tram station in Wolverhampton and Grand Central Station, next to Birmingham New Street railway station. The tramway is operated by National Express using a fleet of 21 Spanish built CAF Urbos 3 articulated trams. 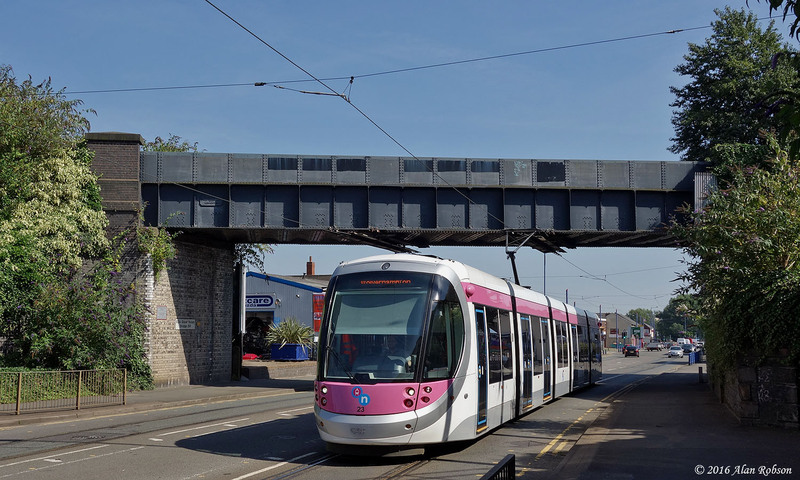 Most of the alignment of the route uses the former Birmingham Snow Hill to Wolverhampton Low Level line, with street running at either end, along Bilston Road in Wolverhampton and in the streets of Birmingham city centre. 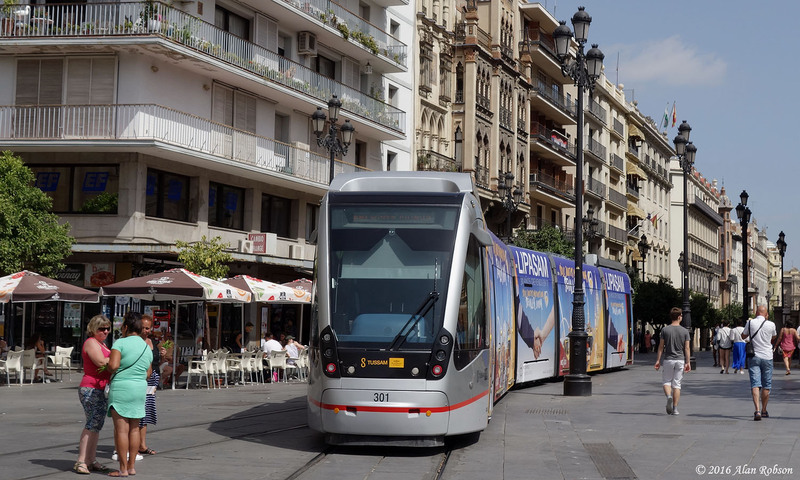 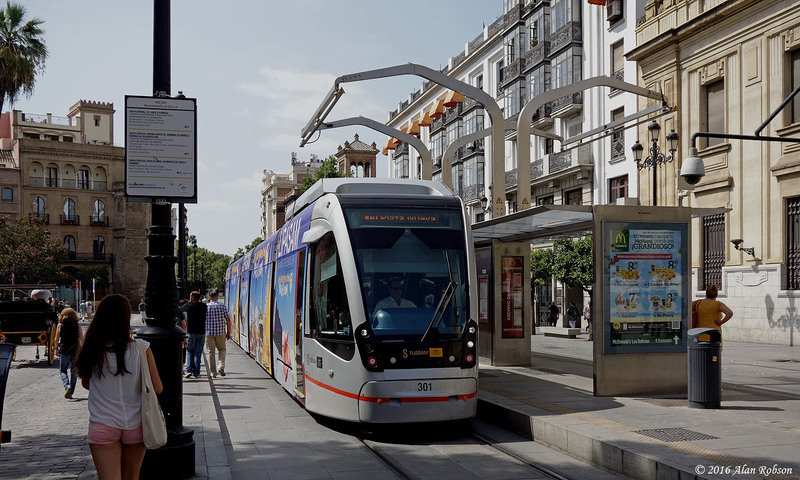 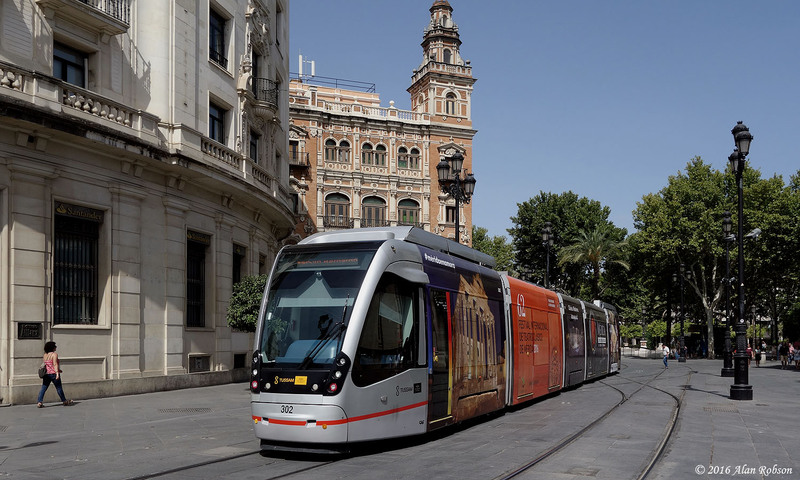 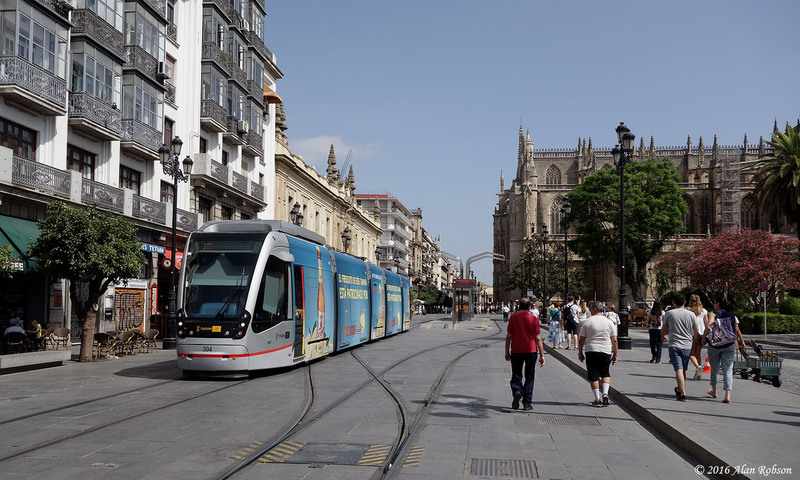 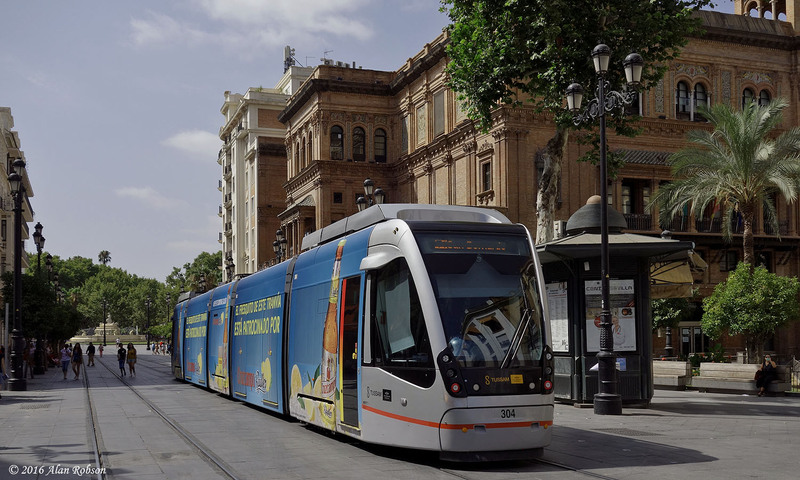 Seville is the capital of Andalucia in Spain, and since 2007 has operated a short tramway in the city centre that goes under the name MetroCentro. The line is only 2.2 km long with five stops, and since 2011 the section that runs through the historic quarter past the cathedral has been catenary free. 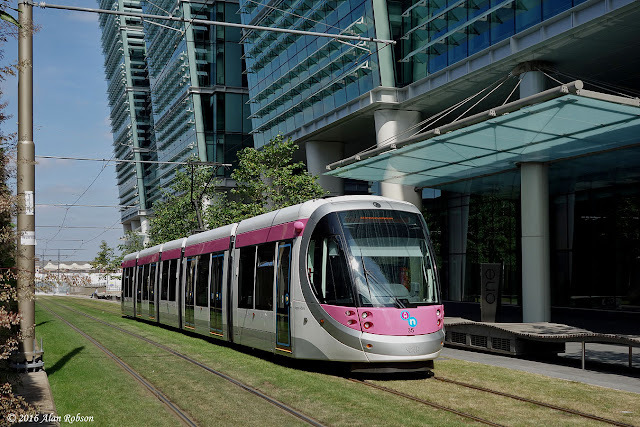 The original cars that were purchased to operate the route were replaced in 2011 with five new Urbos 3 articulated trams manufactured by CAF. 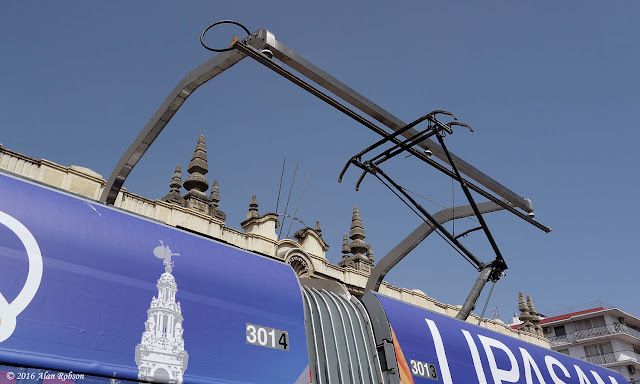 The new trams run in battery mode on the catenary free section, charging up at the tram stops via a pantograph that raises to connect with a short section of overhead. 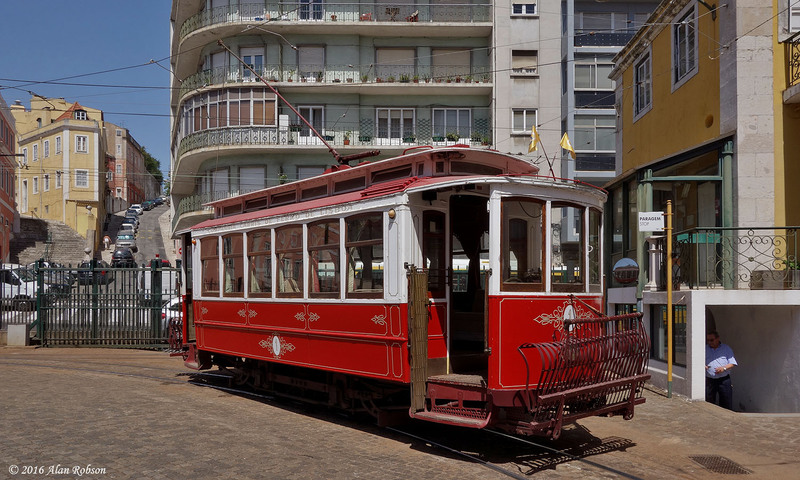 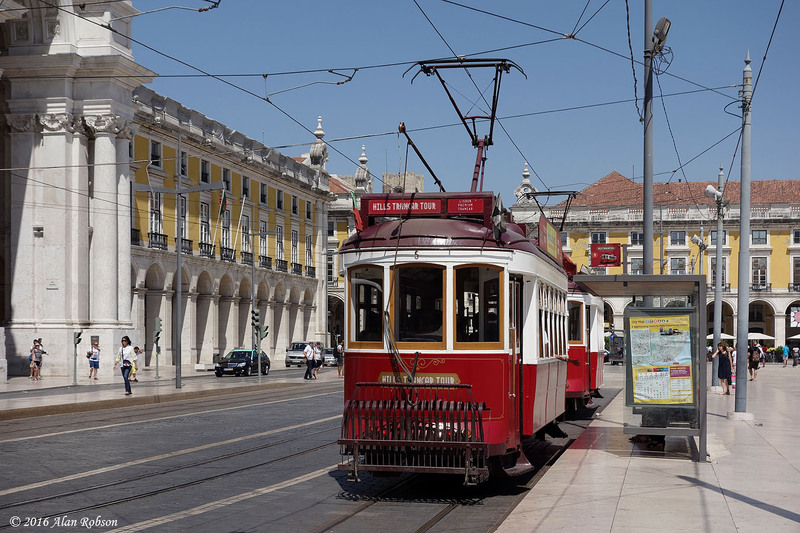 Probably the most famous tram route in Lisbon is the Graca Circle. 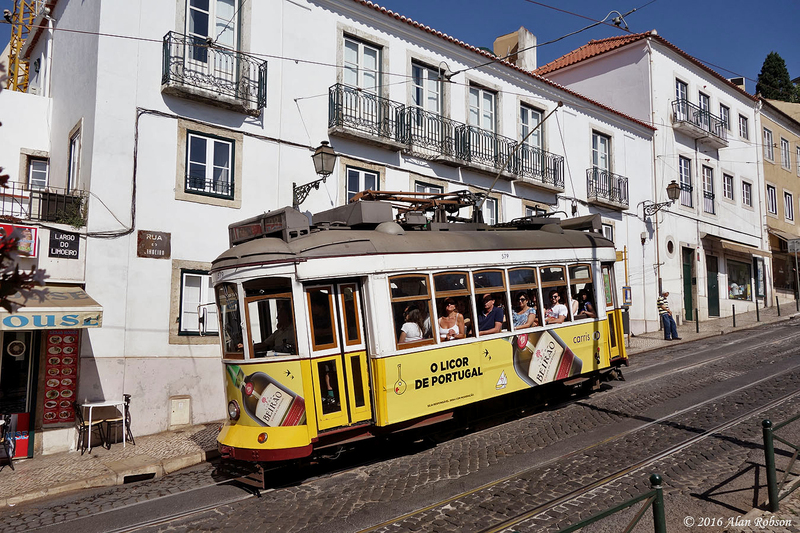 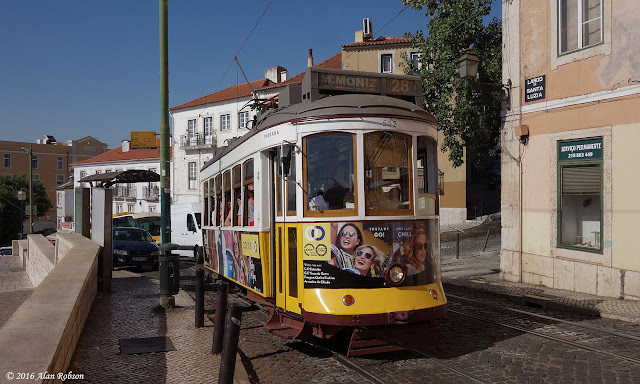 The Graca Circle line is made up of two separate routes, the 12 and 28, both of which wind their way up from the city centre through the hilly Alfama district, before diverging and descending to meet up again at Praca Martim Moniz. 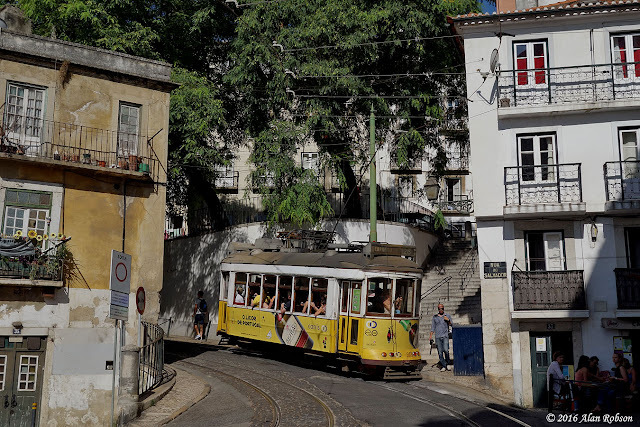 These lines are like a twisting switchback, and are some of the steepest adhesion only tram routes in the world. 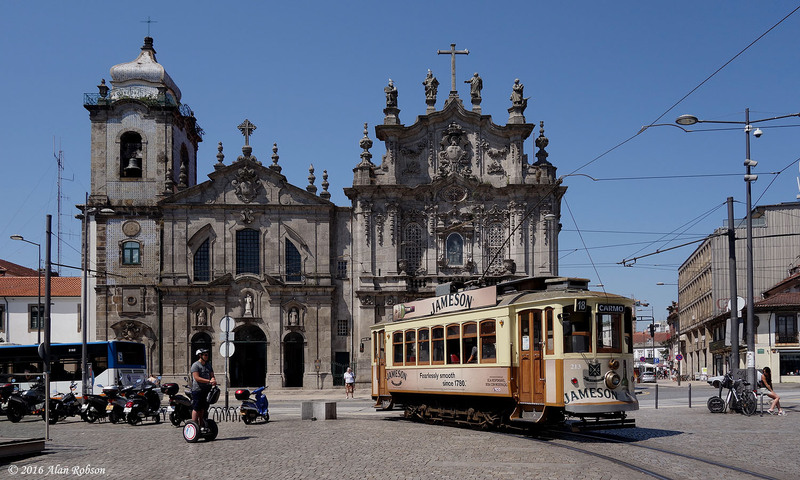 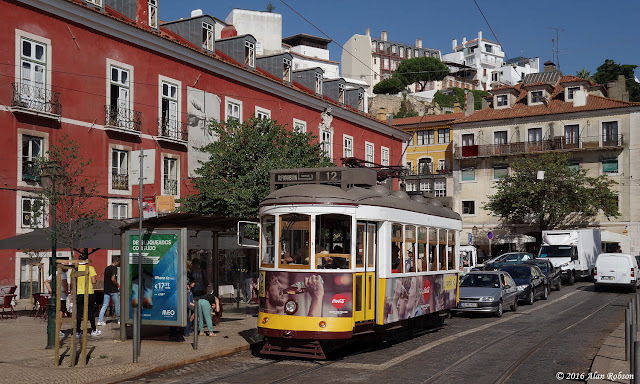 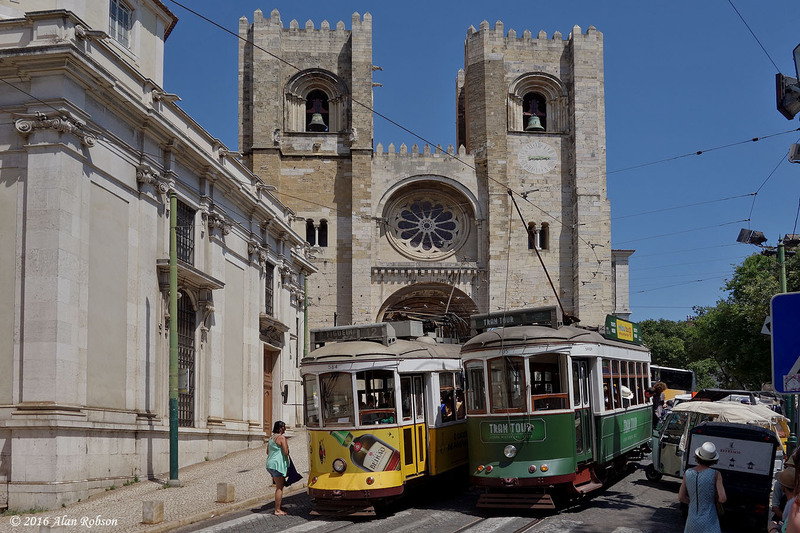 Route 28 is the most popular of these two services with tourists, with the trams often running to capacity all day through the Alfama district. A shorter but equally hilly journey through Alfama can be made on the circular route 12, where the chance of finding a seat is much easier. 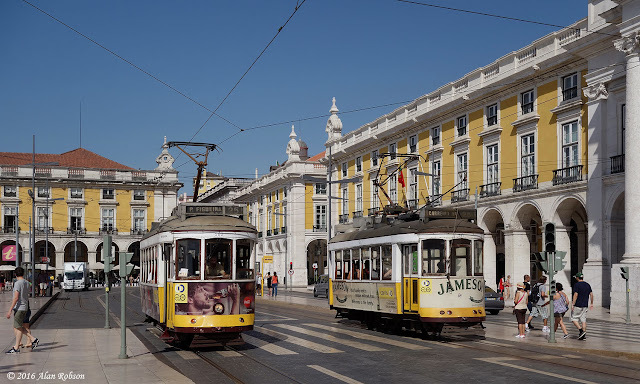 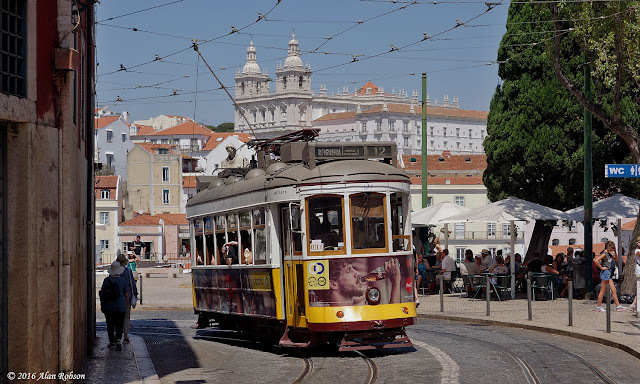 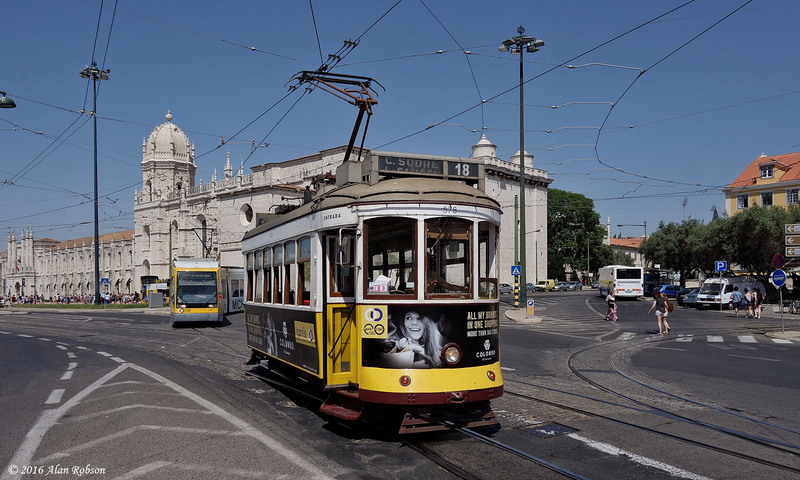 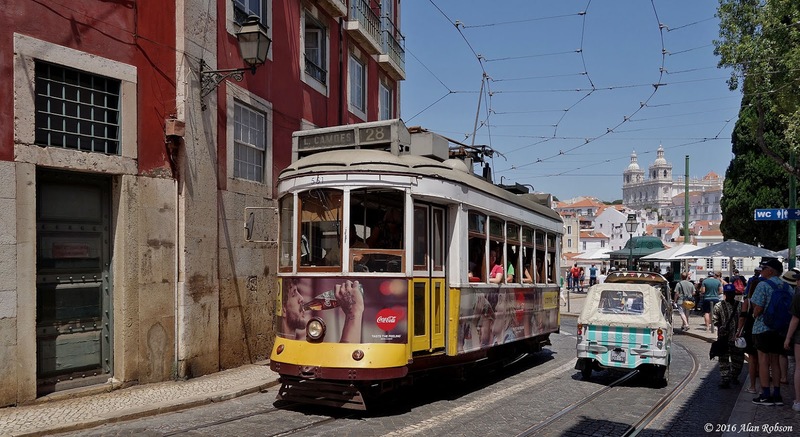 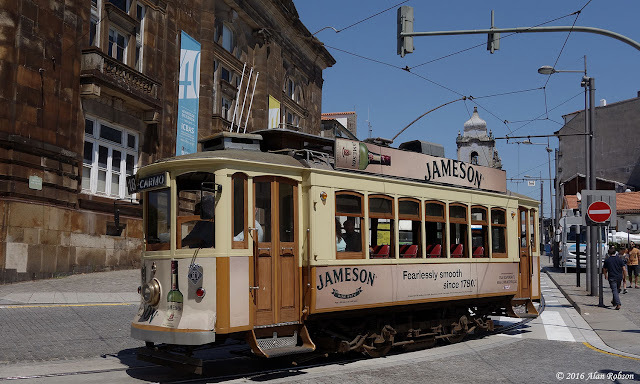 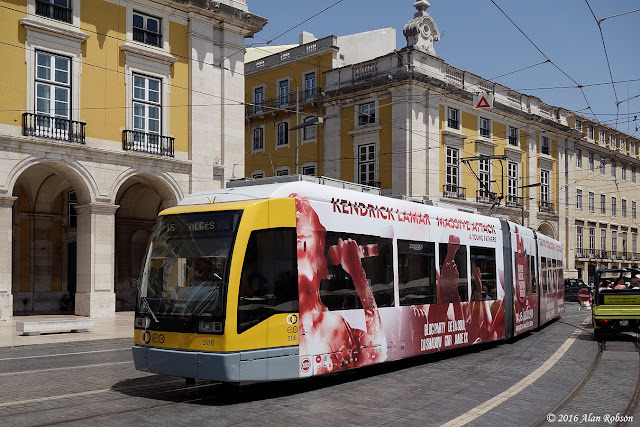 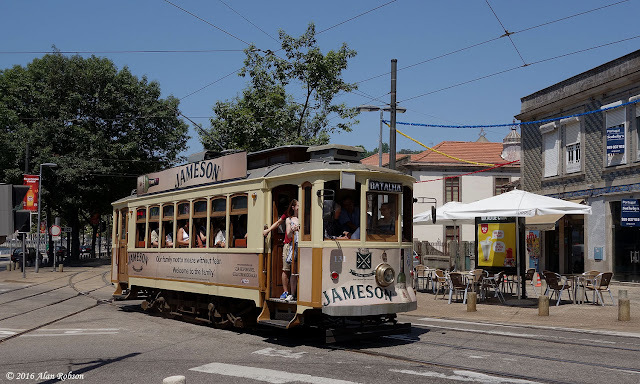 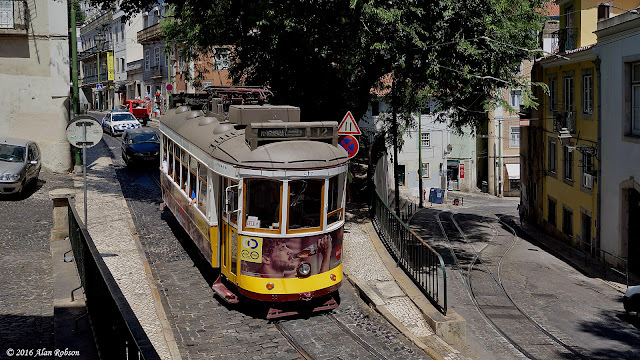 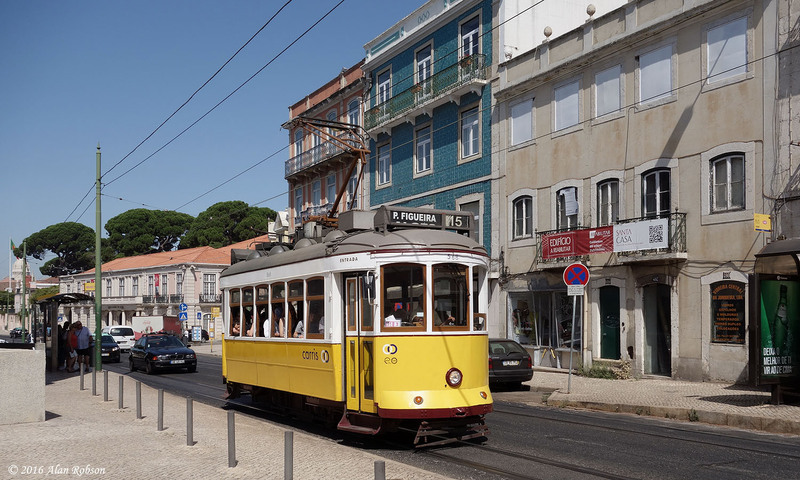 Lisbon is the capital of Portugal, and is famous for its hilly switchback tram system operated mostly by small 4-wheel trams run by Carris (Companhia Carris de Ferro de Lisboa) the Lisbon Tramways Company. 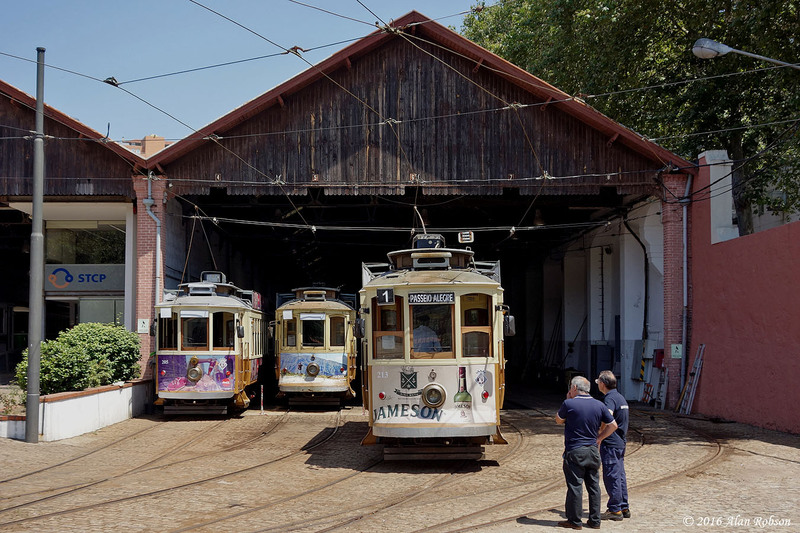 Until the 1990s the system operated a diverse fleet of elderly trams including 4-wheelers, bogie cars and also trams with trailers. 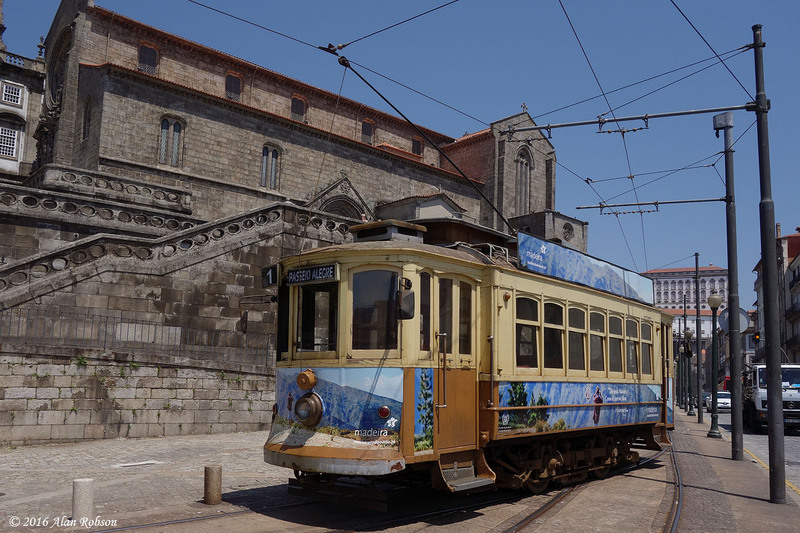 In 1995 ten modern three-section articulated trams were purchased from Siemens for the coastal route 15 to Alges, replacing the elderly bogie cars that were formerly used on this service. The remainder of the present day fleet is mostly comprised of 45 four-wheel 'Remodelado' trams, which began to be introduced in 1995, and are basically original 1930s 4-wheel tram bodies rebuilt and equipped with new trucks and electrical equipment, they are also single-ended and are fitted with both pantographs and trolley-poles, the poles being for use on the narrow, hilly routes. 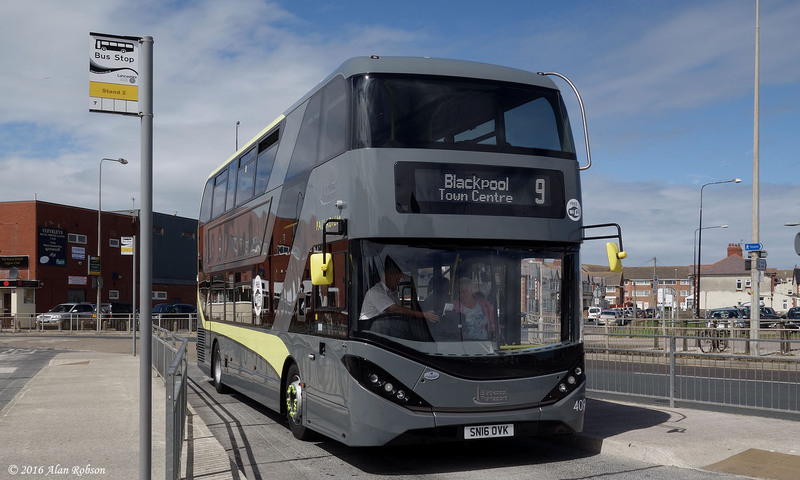 The standard fleet livery is yellow and white, although currently the majority of the trams are covered with adverts, there are also several dedicated 4-wheel tourist trams painted in a variety of colour schemes. 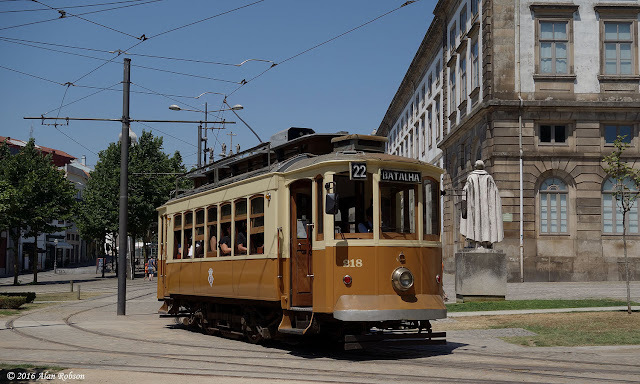 The current system is comprised of five tram routes, the 12, 15, 18, 25 & 28. 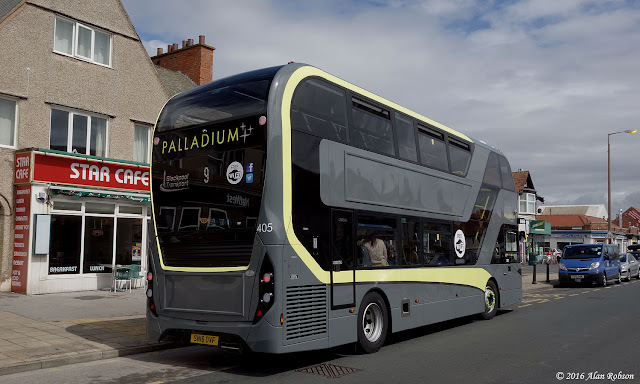 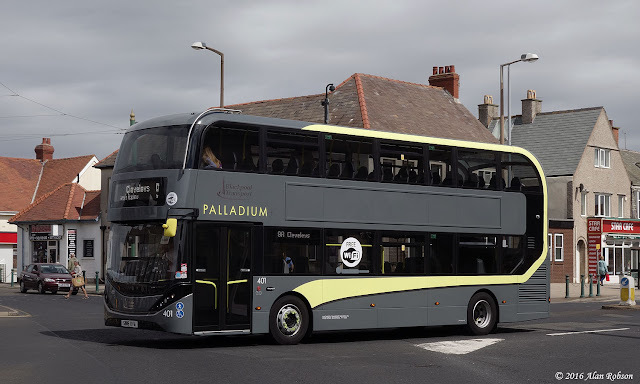 I finally caught up with the Palladium Enviro 400 City Buses in service today, after being away on holiday for a week. 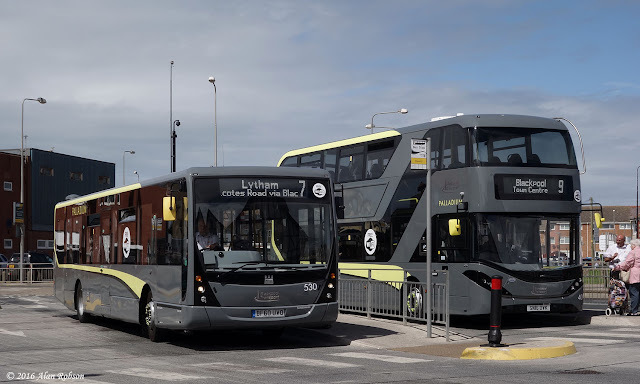 I managed to capture a few photos in Cleveleys during some brief spells of sunshine this afternoon. 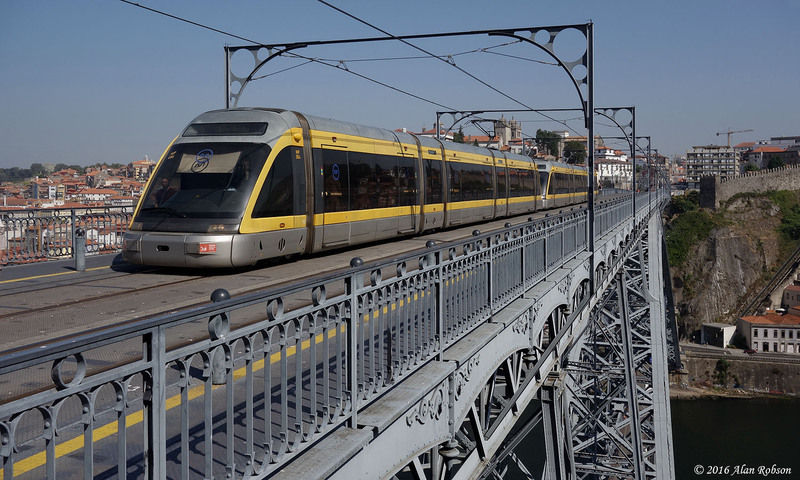 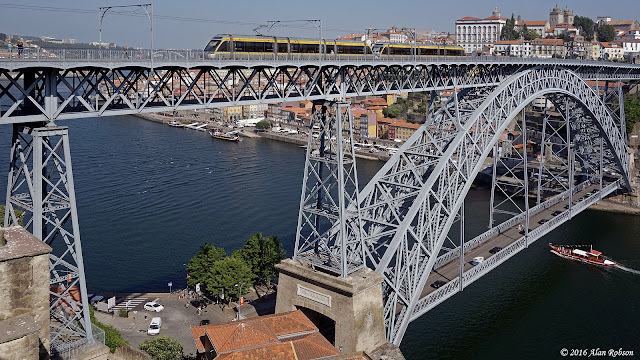 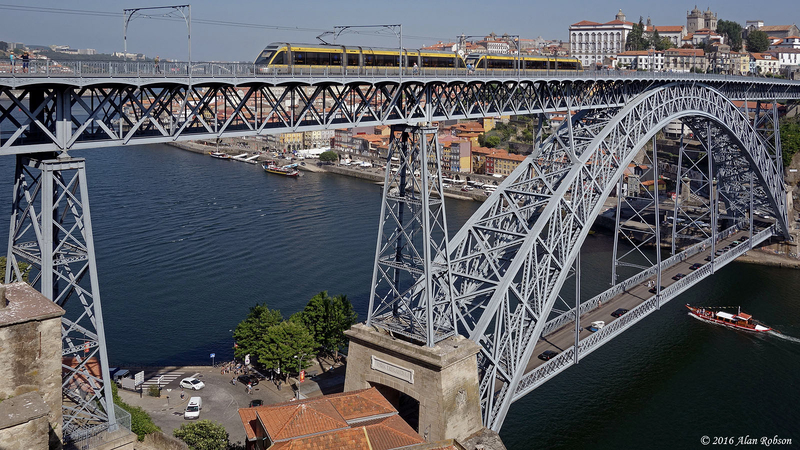 Porto is the second city of Portugal, and for many years it boasted a comprehensive tram system of over 20 routes operated by the Sociedade de Transportes Colectivos do Porto (STCP, the Porto Public Transport Society) which took over from the private Porto Tramways Company (CCFP) in 1946. 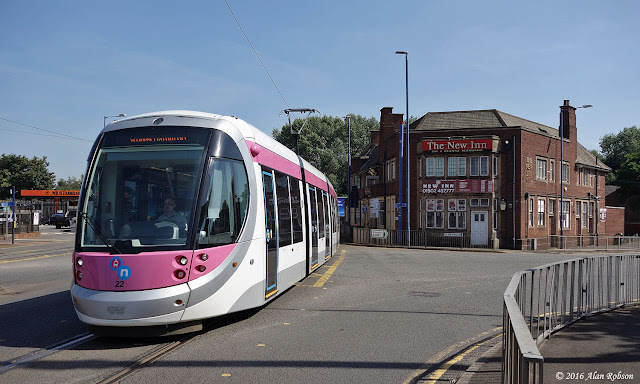 By 1996 all that remained of the former extensive network was just one route (Line 18), this being downgraded from a full tram service to a heritage operation, with buses operating most of the journeys and three heritage trams running on a 35 minute headway. 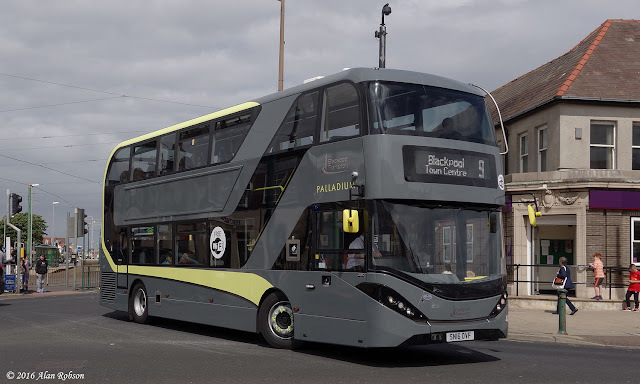 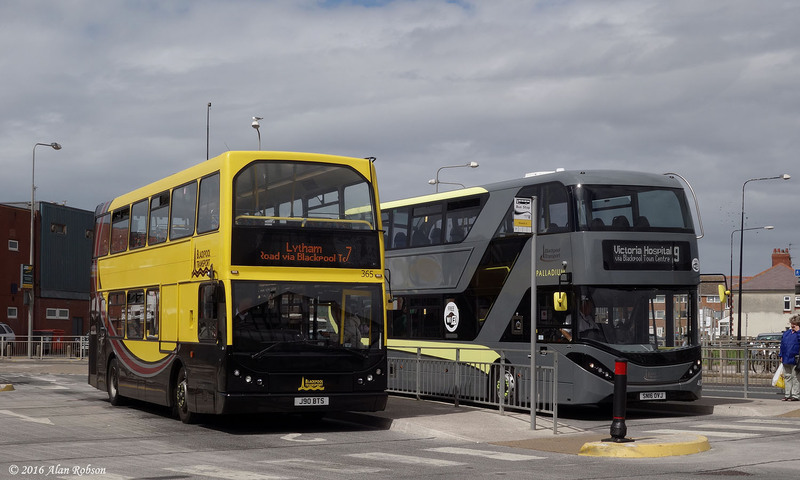 Since that time heritage routes 1 and 22 have been introduced, although the service seemed rather sporadic at the time of my visit in July, especially in the morning. 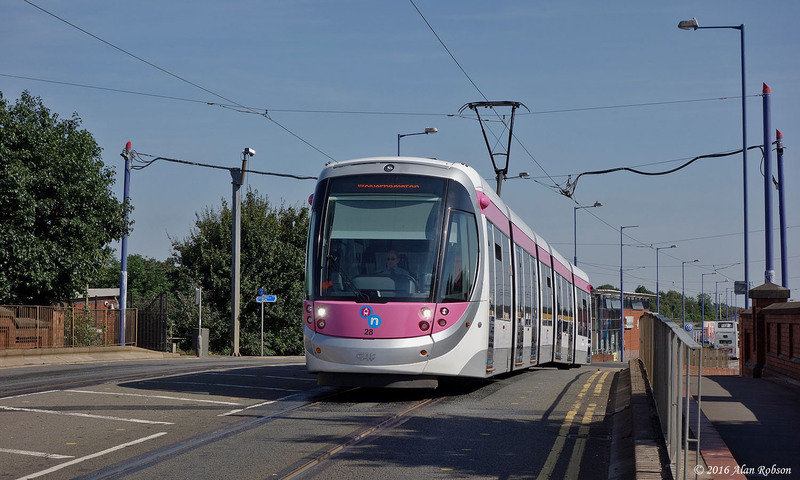 Only four trams are required for the current heritage service, which nominally operates on a 30 minute headway, with two trams being used on the longer Line 1 route. 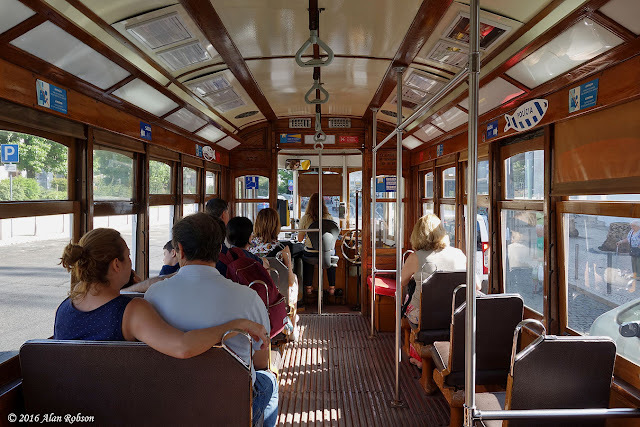 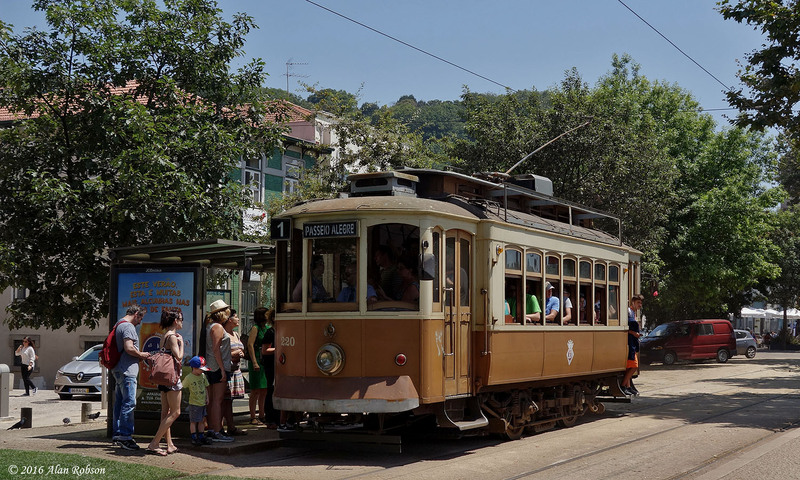 Most of the 4-wheel trams currently in use were constructed between 1938 and 1945 by the Companhia Carris de Ferro do Porto (CCFP, the Porto Tramways Company), probably using components from earlier trams, although unfortunately the records from the period have been lost. 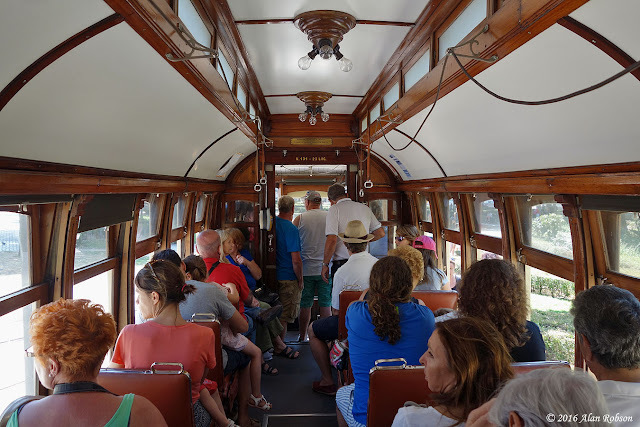 However tram 131 is a genuine 1910 built product of J G Brill of Philadelphia in the USA, although it was later modified with extended platforms and the addition of doors around 1948.